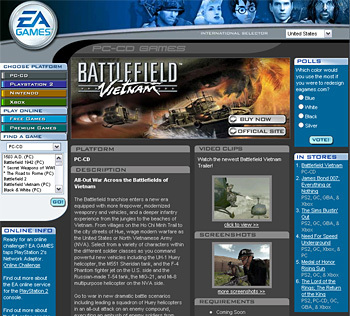 Electronic Arts is usually known for its well-known EA SPORTS brand and the company decided to try and recreate that same buzz with non-sport games under the EA GAMES label. 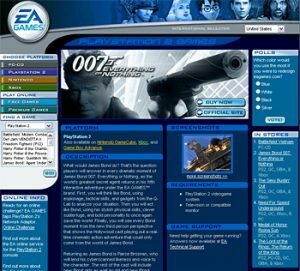 With The Sims, James Bond 007, Medal of Honor, Burnout, Command & Conquer, the Harry Potter series, Catwoman, Oddworld, the Need for Speed series, the Battlefield series and others, EA GAMES already had a great deal of clout. As senior editor for EAGAMES.com, it was my job to dream up new ideas, talk to game producers, interview celebrities and report on everything from a Harry Potter: Quidditch World Tour competition to a drift racing event with the Formula D racing series. 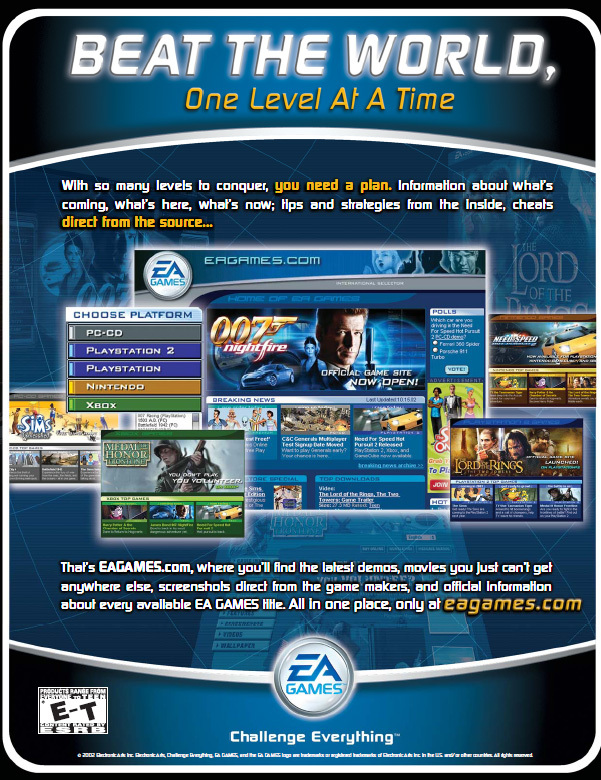 Apart from those tasks, I wrote, managed and distributed the EA GAMES Newsletter, a 2.4 million monthly newsletter that would inform subscribers about new games, new tips, insider guides, contests or updated software patches. With up to 20 active products and EA’s fabled drive to market products well, I had the challenge of negotiating for content, working with legal to make sure the rules were followed and then produce four versions (ASCII, HTML, AOL HTML and brief ASCII). 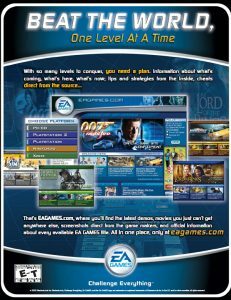 To grow the list, I was even able to create, write and produce an EA GAMES full-page ad for any EA GAMES-based strategy guide from Prima Games.